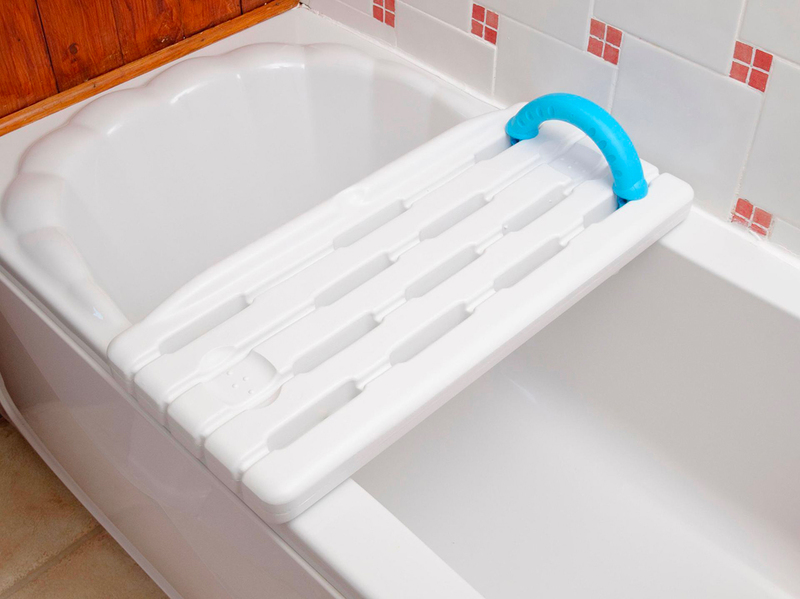 The Derby Bath Board is a high quality, strong bathing aid for those who have difficulty getting in or out of the bath. It is made from one piece of hygienic plastic and is lightweight. The slotted design allows water to drain from the surface easily, it is textured for slip resistance. The back of the board has a small upstand with a coccyx cut-out which provides a natural positioning guide for the user. It has a choice of fittings to suit your bath - either locating brackets or pillar fittings which adjust for the width of the bath. 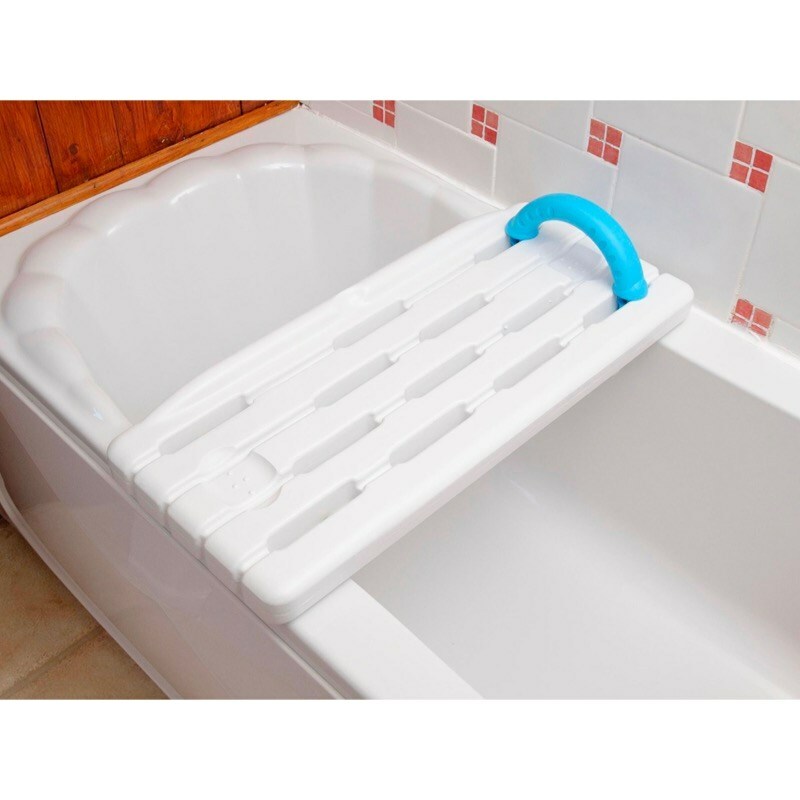 The ABS handle fits directly on to the brackets or pillars and provides additional security on the wall side as the user transfers on to the bath board. The Derby bathboard will fit a standard UK bath of 700 mm overall width.